1967. It wasn’t that long ago. Our parents were alive. Your grandparents could have been going to the movies to see Sidney Poitier and dancing to Elvis, stars that are still relevant today. 1967 was the year Richard and Mildred Loving were finally told that their love – specifically their marriage – wasn’t a crime. Loving is their story and it opens today. The story picks up in 1958 in Virginia where Richard (Joel Edgerton) sweetly proposes to his pregnant girlfriend Mildred (Ruth Negga). They drive to D.C. to get married and when they return to Virginia, they are ripped from their bed in the middle of the night and arrested. In lieu of jail time, the Lovings are forced to leave the state. Then the story takes us to three kids and almost a decade later, to the Supreme Court ruling on nation-wide anti-miscegenation laws in 1967. In 1967, my mother was a teenager in Jamaica, born of an interracial marriage. 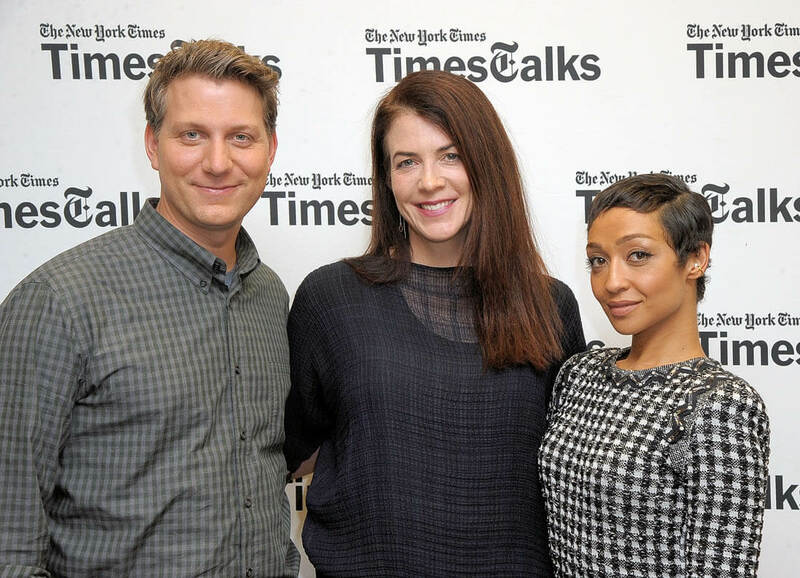 When Lainey wrote about the trailer for Loving in July, she noted that we each have our own personal lens through which we view and connect to stories. I saw Loving with my sister-in-law. She's Korean. Her marriage to my brother would have been illegal. My relationship would have been “no good” in Virginia. My personal connection to this story took my crying problem to an all-time high. Ruth Negga did not help my crying problem. Goddamn, she is incredible. This is truly Ruth Negga’s movie. It was Mildred who convinced her husband to take their case to the Supreme Court. It’s Mildred who stands firm when Richard wants to back away from the spotlight. It’s Mildred who understands, as a black woman, what their case could mean for America’s future. It’s Mildred who breaks your heart with every worried glance she throws in her husband’s direction. I don’t think I’ll ever be able to look at Ruth Negga again without crying. She is THAT good. Put her name on the Oscar ballot. I don’t care if it’s only November. Edgerton’s portrayal of Richard Loving is also devastating. It’s a nuanced look at what masculinity meant in the 60s. In Loving, Richard is a man of few words but his commitment to his family doesn’t need to be said out loud. A scene where he breaks down while promising to “take care” of his wife will destroy you. In the hands of another writer/ director, the film may have focused on the fumbling, inexperienced lawyer, played by Nick Kroll, It may have been all about rich white men in suits yelling about the fate of the less privileged, like so many films before it. Instead, Loving rarely shows the courtroom and those lawyers are relegated to a few scenes. Instead, Loving, at its core, is a sweeping, gorgeous love story. It’s not shout-y or preachy. Despite their ridiculously unfair situation, Richard isn’t throwing his fists into walls and Mildred isn’t launching into melodramatic monologues. Their anger brews. It festers. We watch it grow over the years. We see it simmer but never boil over. And that is what some critics are saying is the film’s only flaw. Variety called it “too damn polite.” There were times where I wanted to yell and scream for the Lovings because they weren’t doing it for themselves. My sister-in-law wondered after the movie if Jeff Nichols actively chose not to show any violence. I hadn’t really noticed but it’s true - the movie’s one true villain is the county sheriff and he’s mean, sure, and he’s a racist, definitely, but it’s only the threat of physical violence that ever shows up. Other films have been critiqued for downplaying the ruthless, inhumane assault black Americans faced during that era (ahem, The Help) so I understand the critique but on the other hand, maybe we’re just so used to seeing black bodies brutalized on and off screen that a film dealing with race in the South in the 50s and 60s seems “too damn polite” without the brutality. Sometimes, racism can be more powerful when it is subtle. Sometimes it manifests in looks and legislation as well as beatings and bruises. For the Lovings, they had to live in constant fear, not knowing if they would get to live freely amongst their friends and family ever again. Isn’t that brutal? And besides, getting exiled from your home state isn’t exactly subtle. In Loving, Richard and Mildred don’t shout or kick or scream but they fight “the little battles,” as Mildred calls them, in their own restrained and dignified way. Leading up to its release, Loving’s Twitter page was tweeting support for the film with the hashatag #MakeLoveLouder. That hashtag is used to stump for the right to love equally, something that is still necessary in 2016. It's easy to look back on 1967 and be appalled that anyone thought it was OK to revoke someone's right to marry outside of their race but have we really come that far? Sure, the laws have changed but an article just last month in Canadian newspaper The Globe and Mail revealed that Canadians still aren't that accepting of interracial relationships. I was insulted on Twitter recently for having a white partner while writing about race, like my partner's whiteness somehow makes me any less black. We've come a long way since Richard and Mildred's quiet love's deafening influence but how far away are we from a time when seeing an interracial couple together doesn't spark a conversation-- or even a second glance? 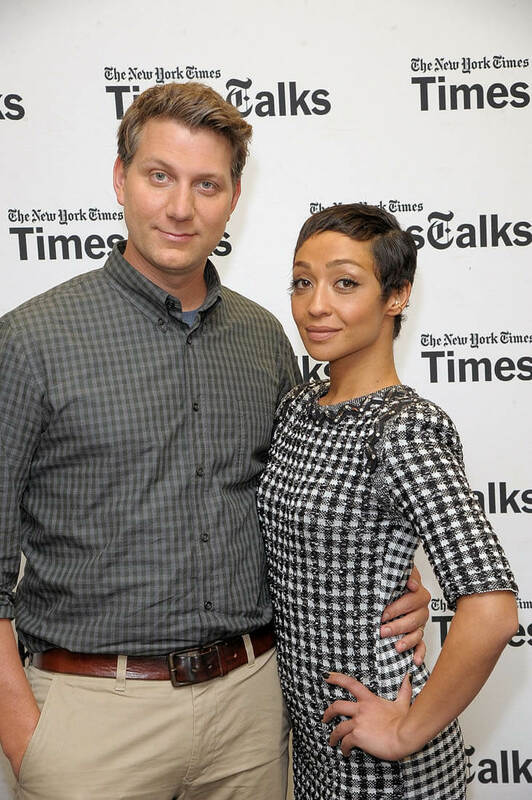 Attached – Ruth Negga and director Jeff Nichols at TimesTalks in New York on Tuesday and Ruth and Joel Edgerton at The Today Show late last week.